Here's one of those recipes you may say to yourself, why didn't I think of this before? Leftover chicken, leftover mashed potatoes, a match made in heaven. Add some hot sauce, spices and roll into bread crumbs, drizzle some olive oil over the top bake until browned, can't get much easier. Heat oven to 350 degrees while preparing. Mix the shredded chicken with around 1/4 cup hot sauce set aside. Take around 2 cups mashed potatoes, 1/2 teaspoon garlic powder, 2 tablespoons blue cheese dressing if using mix all together. Fold the chicken and hot sauce into the potatoes mixing well. 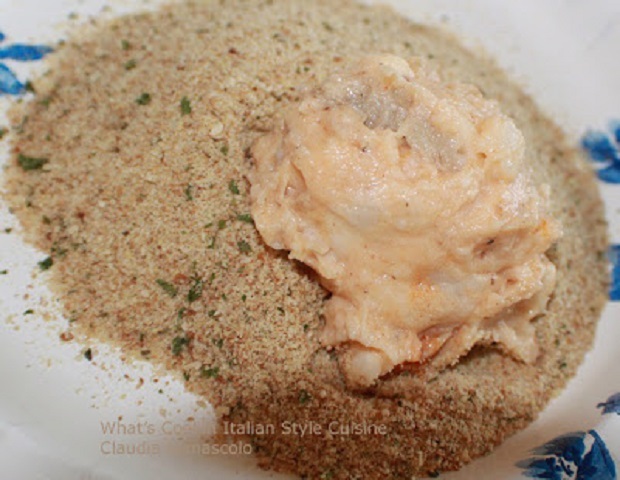 Place around two cups of bread crumbs on the paper plate, with a tablespoon place a heaping mound of mixture on the plate filled with the bread crumb coating both sides. 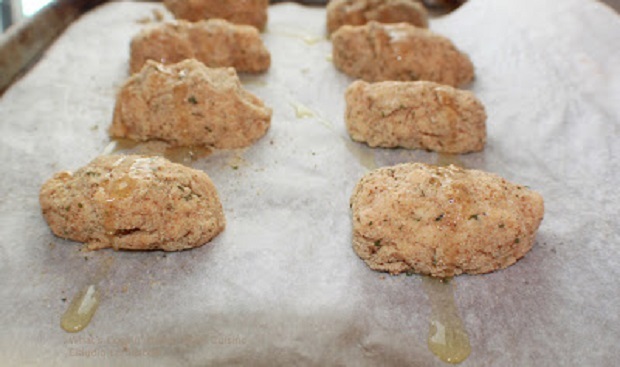 Place each croquette on the parchment lined cookie sheet. Drizzle with olive oil and bake till golden browned takes around 30 minutes. Dip with additional blue cheese, more hot sauce or ranch dressing if desired. I love croquettes! This is very popular in Belgium (my mother-in-law lives in the little Italy part). For even better flavour, she makes them with a special orange bread crumb that's difficult to find). YUM! I'm going to make these and surprise my husband! 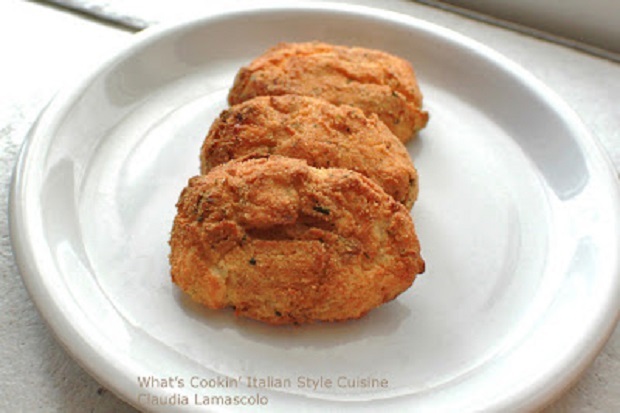 I have never had croquettes before, but anything buffalo chicken would be devoured by me! Love your blog Claudia and hope you share your cooking forever! I hope you don't mind me putting in that link. You probably know all this anyway. Dear Claudia, These do sound good. Wow wow wow!!! These look scrummy! Frank's hot sauce always makes an appearance at our table. This certainly is a match made in heaven. I love it! great variation to the croquetas!